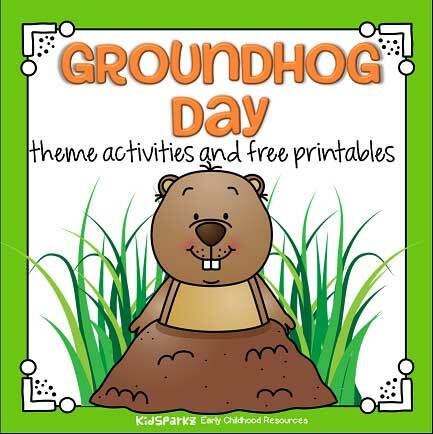 ​Informational emergent reader about the Groundhog Day tradition for early learners in b/w. Cut out the pages, stack them, and staple together on the left side. ​Groundhog Day - matching numbers and 10 frames to 20. BIG flashcards. ​Groundhogs preschool theme shape matching activity. Print 2 copies. Groundhog Day theme upper case alphabet large flashcards. Use for recognition and matching games, hiding and finding. ​Groundhog Day hat activity - color and cut. ​Groundhog Day Poem printable - "If I Was a Groundhog"
​Groundhog Day preschool tracing activity. What did the groundhog see? Click on a resource to read about it and see more pictures. Packs for Members are labeled.